What will people say about you after you've passed away? ... Sure, that's kind of a macabre thought. But it makes you think about the way you're living your life right now — How are you being perceived by others? What do you think they'll say about you at your next performance review? You want to feel good about yourself and your work. You want other people to value you (approval). You want to keep your job! You want to get that promotion, pay raise, or bigger bonus. You want to switch to a new job, and you want good references to sing for you when you need them to. So, think about your last month at work, or the last 90 days. Have you demonstrated the following qualities / competencies? Maybe you think you have — but are other people aware of it? … What would they say about you right now if they had to “rate” you? How to create visibility for yourself so you get an excellent performance review. Here are the 10 Behavioral Competencies you’ll be evaluated on, and here are some suggested activities you can do to show or develop these competencies. Remember, this is all for your personal benefit! — not the necessarily the benefit of your employer. You’re looking out for #1 (you) … Review the reasons why listed above. ✔ Identify a problem and take charge of getting it solved. Delegate as much as you have the authority to do so, then get out of the way and let them get the work done according to your clear and supportive expectations. ✔ Clarify issues that have caused confusion or conflict in the past. ✔ Use your emotional intelligence to show empathy with others. Ask about what they are working on. Listen to them. Try to understand different perspectives. Make them know that you have their interests in mind as a leader. ✔ Consistently go out of your way to try to build relationships with people you don't usually interact with often. Again, use your emotional intelligence. ✔ Identify a colleague or more senior person who is good at leadership and teambuilding. Ask for a meeting to discuss his or her knowledge and methods in this area. ✔ Publicly acknowledge and give credit to other people when they have contributed and done a good job. ✔ Write a whitepaper or a blog post and get feedback from your colleagues. Then approach the right people in your company with your suggested content. ✔ In meetings, take responsibility for writing meeting notes and then sending them out via email to remind people what was discussed and the next steps. ✔ Create a briefing or presentation for someone else to present. ✔ Make a point of consistently providing information to your colleagues via conversation after meetings you attend. Make sure your teammates, supervisors and other stakeholders are well informed because of your efforts to communicate with them. ✔ Call a 15 minute "stand up" meeting to brief colleagues on a project, or idea. ✔ Make a presentation in a meeting about something new that you have learned that ties in to strategic goals. ✔ Ask your boss if what you are working on is aligned with the strategic goals for the quarter. ✔ See if you can come up with a project or idea that will support the strategic goals of your team or company. ✔ Think about new markets or new customers for your company's product or service, and make a strategic suggestion in a meeting. ✔ Be accountable for the results of a project. Show that you want to "move the needle" and that you are going to measure your progress. ✔ Consistently define visible expectations for yourself, and for other people concerning what gets done and by when. Do they know what you're working on? And what you expect to achieve? ✔ Are they aware of your deadline, and do you have a plan to show them that you met it on time? Do they know what you expect from them concerning inputs, feedback, or recognition? ✔ Come up with new ideas on how to improve customer service, and walk around and ask your co-workers what they think. ✔ Do some research on emerging customer support tools and methods in your industry, and present them in a meeting. Talk about your commitment to customer service. ✔ Think about the people you manage as your "customers," and think of your superiors as "customers" as well. Ask them what they think about YOUR level of customer service. Remember, you are wondering what they would say about you in a performance review. Show them you are thinking about internal as well as external customer service. ✔ Understand and use the right tone of voice and body language that shows the right knowledge, attitude, and respect. ✔ Learn ways of asking questions that don't make people get defensive. Make sure they know you are always looking for a productive solution and that their input and feedback is valued. ✔ Interact with people and represent yourself in a professional way. Be self-aware. How do you think you are being perceived? What does your tone and your appearance say about you? ✔ Show that you understand the consequences of your decisions and actions on your company's resources — like time and money. Demonstrate that you are not wasteful. ✔ Make sure people know that your budgeting and financial decisions are based on discretion and sound judgment. ✔ Identify some ways to decrease expenses or save the company money, and bring these up at a meeting. ✔ Come up with new ideas by reading and researching emerging industry best practices, then email out some bullet points on what you have discovered. ✔ Coordinate with external customers, vendors, or stakeholders in other departments to improve an existing process or procedure. ✔ Organize a lunch meeting and have people watch a short video clip about a new trend that relates to your strategic goals, then lead an informal discussion. Remember, this is all for your personal benefit and personal profit and $$$ earning potential. No tombstones for you just yet. May you live a long and healthy life and have an enjoyable and profitable career. — Think about your recent performance at work and what they might say about you if your review were tomorrow. 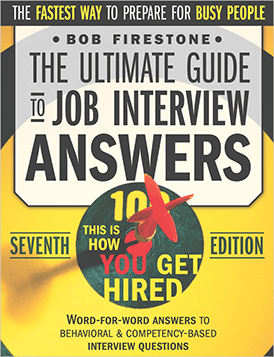 — Understand the 10 core competencies you’ll be judged on. (Whether they know it or not, or have this formally in place or not, this is the guiding rubric for modern HR performance evaluation). — Think about some of the things you can do at work to increase your visibility related to your behavioral competencies. If you liked this article, please share it on Twitter! 😎 Thanks.